Put simply, SEO is a process that allows more users to find and view your website when searching on a search engine. The SEO process analyzes search engine algorithms to discover how these search engines look for specific pieces of information in specific places on websites. SEO professionals then input the right info in the right places on a website so that search engines can find you—and find you fast. The goal of an effective SEO project is to attract potential customers to your website with content that is targeted for the queries consumers use in their web searches. Because studies show that 74% of consumers turn to search engines first to find information. Plus, Google’s organic search algorithm and the internet landscape change all the time. You need a partner who understands this and is in tune with all the ways people search—and look to do business with you—online. 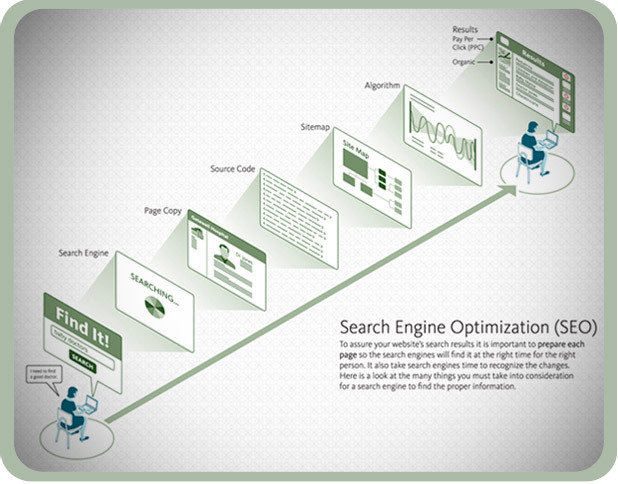 In addition, part of SEO is improving a website’s usability. If a mechanism improves the user experience, it is more than likely going to improve the search engine process, which results in getting your website to rank higher on search engine results. This leads to a significant competitive edge. With ROI always top-of-mind, our team of SEO specialists and web analytics experts regularly provide our clients with detailed reports showing the effect the SEO campaign has on their overall business goals. While we cannot make search engine placement guarantees, we hold ourselves accountable for each marketing dollar you spend with us. Contact us today for a Free SEO Consultation to find out how your website ranks against your competitors. Knowing where you stand will help your marketing efforts and help us learn which combination of tSunela’s online marketing strategies can help you to improve your website’s search engine visibility and effectiveness.